Habib standard room on the patio next to the fountain. Two single beds (can be joined into a double bed). 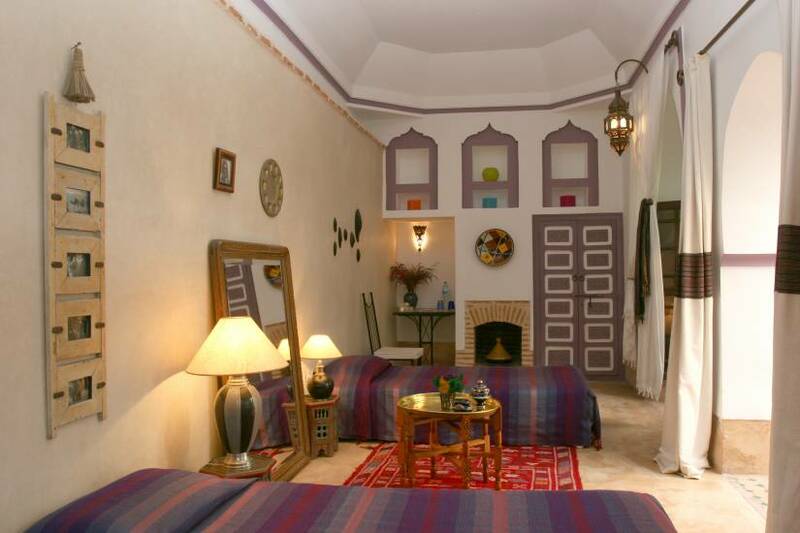 Bedroom with purple color decoration African – Moroccan. Two people, bathroom with shower, Air conditioning, Safe, Hair dryer. This room may be noisy as located in the main courtyard. 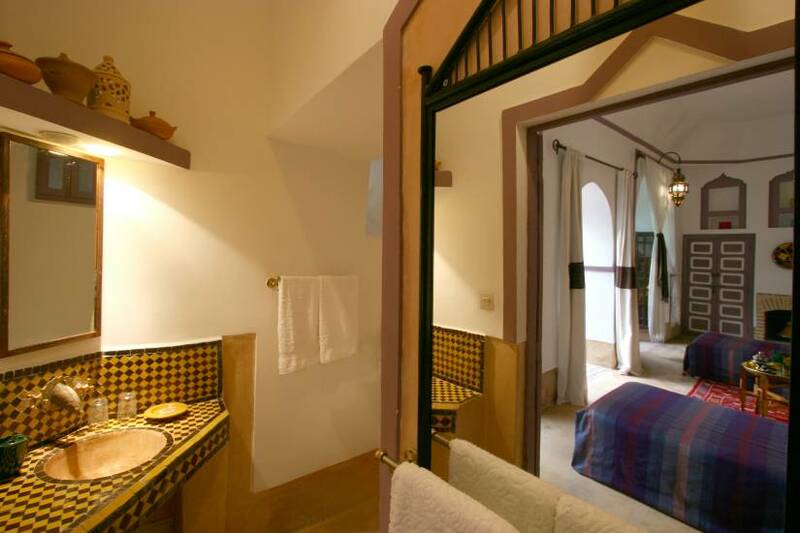 When possible we can upgrade to quieter room to another of our riads in the street.